I had the great honor of taking some engagement photos (I guess all the cool kids are calling them E-Sessions now) for a wonderful couple and some good friends of mine, Peter & Emily. We tromped around Burlington shooting in a couple of alleys on our way down to One Main St. and the Lake Champlain waterfront to enjoy a beautiful sunset. Peter is a musician and he’s a frequent guest in front of my camera, but most of the time that I’m taking photos of him, Emily is in the audience listening to his melodies. Not this time! 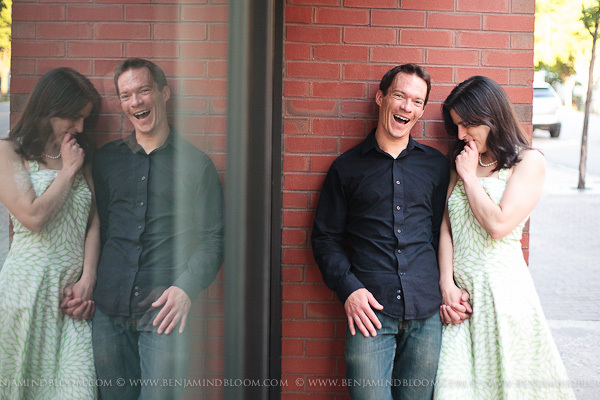 We had a great time laughing with each other while we made these photos. Near the end of the night, Peter said, “This is great! 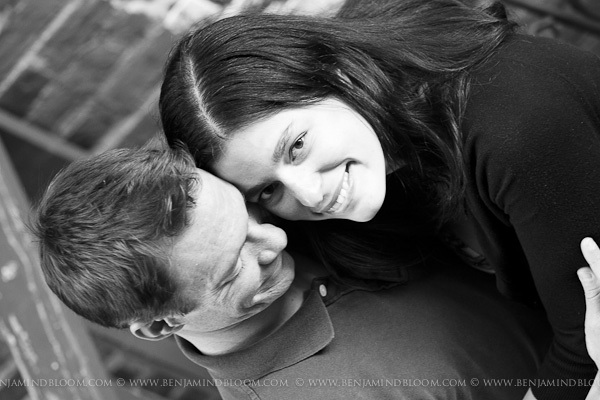 How often do I get to spend a few hours focused on being in love with Emily?” I can’t wait for their wedding this fall! You can find this song on iTunes and more songs like it on The Grift’s website. A huge thank you to Clint Bierman for providing acoustic version!